It was kind of the Jays, wasn’t it? They could have extended their own winning streak to an unimaginable (to us) twelve; instead they enabled to the Mets to create a streak of their own: two wins in a row, two exhilarating comebacks in a row. Everything they say about Canadians being so nice is apparently true. The Jays weren’t necessarily so generous all night. Mark Buehrle was stingy and Jose Bautista was greedy. Noah Syndergaard was everything a Jays fan could have hoped for when Toronto drafted him in 2010…and everything that same Jays fan might have rued when his team sent him to our team in 2012. Noah went six, struck out eleven, allowed but two hits and laid down a bunt even. When he finished pitching, he and the Mets trailed, 1-0. When Carlos Torres followed him to the mound, he and the Mets led, 2-1. Buehrle might have dolloped out few baserunners but eventually quit being perfect. A helpful throwing error from another wonderful if geographically misplaced Canadian (Jose Reyes) set up consecutive doubles and the two six-inning runs that put Noah in position to win the game. Bautista, the five-minute Met from 2004, had other ideas, tagging Jeurys Familia in the ninth for a very sneaky home run just over the fence in the left field corner. Earlier Bautista hit one to Astoria, meaning it was 2-2 and the Mets and Jays were bound for extras. 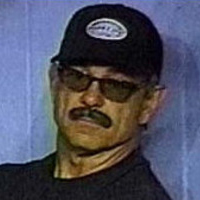 Extras in Queens is usually where the Mets shine when they take on this particular opponent, though it should be admitted that “usually” equals that game in 1999 in which Bobby V donned the fake mustache. That one went fourteen, foiled David Wells, featured Pat Mahomes and the Mets won, 4-3. This one got to eleven and appeared futile when Curtis Granderson couldn’t throw out Ezequiel Carrera at the plate. Of course he couldn’t. You know what they say in the battery business: some run on Energizer, some run on Duracell, but all run on Granderson. That likely would’ve been most of that, except the Jays wouldn’t let the Mets go gently into that good night. In the bottom of the eleventh, after Juan Lagares was nabbed on a brilliant play by second baseman Danny Valencia, Ruben Tejada walked. Michael Cuddyer then hit the double play ground ball that was about to end the Mets evening when Valencia undid his good from two batters before and didn’t bother throwing to second. If he had, it’s 4-6-3, good night New York, let’s see if we can catch the end of the Stanley Cup (Canadians love that stuff). Instead, Valencia got it in his mind to tag Tejada, while Tejada — not lately anybody’s idea of heady — got it in his mind to make himself untaggable. Ruben wiggled and jiggled and wriggled and Valencia was easily distracted. Eventually he got some combination of mitt and ball on the baserunner’s body, but it took so long that it provided ample running time for Cuddyer to cross the first base bag. In the fifth, when the Mets had their very first baserunner, I noticed something similar. Lucas Duda was on second with two out. Dilson Herrera grounded to third baseman Josh Donaldson. All Donaldson had to do was throw to first. Instead, he saw Duda trundling in his vicinity and thought tagging him would be a better option. He missed Lucas. He was able to get Dilson, but it was a waste of motion. The same team impulse to tag instead of throw came back to bite them six innings later. Fellas, a word of friendly advice for when you go back to playing everybody else (because we’d be plenty happy if you won the A.L. East): leave the tagging to Bautista. With a two-out baserunner, the Mets had a chance. They had Duda up. John Gibbons had an idea. Duda traditionally pulls the ball, so let’s take every Jay fielder dating back to Barry Bonnell and shift them so far to the right they can shake hands with the ghost of William F. Buckley. This clever defensive strategy put Jays closer Brett Cecil squarely on the firing line when Duda — who is not nearly as predictable as opposing managers tend to think — flared a 3-2 pitch to left that probably could have been caught or at least contained by a reasonably positioned glove. Instead, the shift wound up handing Cecil his beanie. Cuddyer got to racing around the bases and scored all the way from first on what was ruled a single. Duda lumbered to second on the futile throw to the plate and, lo and behold, the camouflaged Mets revealed themselves in a 3-3 tie. Exit Cecil. Enter the next victim, Liam Hendriks, who threw one pitch. Wilmer Flores stroked it directly up the middle to score Duda with the winning run. The Mets won, 4-3, just as they had on June 9, 1999. No facial hair constructed from eyeblack. No sunglasses at night. Just 25 Mets not named Dillon Gee who were dressed to go Jay hunting and did so very successfully. Of course they didn’t have to exert themselves all that much toward the end of the hunt. The Jays jumped in a barrel and invited their hosts to take aim and fire. It would have been undiplomatic to have refused. so let’s take every Jay fielder dating back to Barry Bonnell and shift them so far to the right they can shake hands with the ghost of William F. Buckley. Those outfielders were also playing kind of deep. That line had me LOL’ing, Greg. Brilliant. Anyone remember the answer to SNY’s trivia question last night? I missed the answer when I was walking the dogs. The question was which five players have batted leadoff for the Mets in at least 300 games? My guess was Reyes, Mookie, Dykstra, Agee, and Hunt. Harrelson instead of Hunt, otherwise correct. So much hilarious stuff in this post, and so much fun to read because of the resulting W. This team likely won’t win the NL East and may not grab a WC spot but it will not quit and will provide plenty of fodder for FAFIF and for that we can all be thankful. Imagine the Mets winning a game because the other team’s defense had no clue as to how to execute a double play. Two games in a row now that were the kinds of games that good teams win. This is starting to look encouraging. Imagine what life would be like with fewer than 30 players on the DL and a GM who was willing and able to make a useful trade or two. And on a different subject, you think Keith is going to be all googly eyes Cardinal fanboy anymore if this investigation turns up real stuff? Well, we’re not at the half way point of the season yet, so I don’t see any reason to knock Sandy and say he’s not willing to make a trade or two. For one thing, none of us know exactly who is available and at what cost that would be. Great win last night. Hope Harvey can bounce back with a good game tonight. Alderson moves at a pace best left for aging Scotch. While there’s something to be said for being deliberate at times, there’s also an old saying that I think was attributed to Branch Rickey, “I’d rather trade a player a year too early than keep him a year too long.” Can you think of a better description of the predicament the Mets now see themselves in with Niese and Gee? Move them after 2013 or so, sign a couple of stopgap starters until the next round of prospects were ready, Mets would have gotten some useful players who could be making a difference by now because Niese and Gee had some market value at that stage. Instead they’ll be lucky to get a guy hitting .210 in class A ball for Gee. You mean something like the Dickey for Syndergaard & d’Arnaud trade? Well, perfect example. Lots of us hated to see him go, but no way we would have gotten a starting catcher and s potential ace of the staff after the 2013 season when he was about a .500 pitcher instead of the reigning Cy Young winner coming off 20 wins. Kind of digressing from my point. Alderson seems to me to be very risk averse, and the only moves he seems comfortable with are trading older more expensive players for prospects or signing low-tier free agents. The latter has worked out very nicely, but after a while the team gets past that stage. I’m not talking blockbuster…I cringe when I see people talk about a pile of our best prospects for Tulo. But an extra bat off the bench, another reliable healthy arm for the pen? I know it’s pre-season when it comes to trades right now, but I hope Sandy intends to do something in the next month-6 weeks. Lately I’ve really been noticing how weak Granderson’s arm is. I mean even weaker than ever. Oh, but he’s 7th in the league in walks, so there’s that. On Duda’s hit, at first the “always hustling” Cuddyer didn’t look like he was hustling at all, but rather going into “Game-ending popout trot”, and on a full count yet, but nobody seemed to comment on it. I’m wondering what the over and under is on Blue Jays Home Runs Allowed tonight by Harvey. My guess is six. The last one brought back memories from decades ago. Shlepalong Casually and Dishonest John. Toronto’s defensive alignment certainly made Cecil look like a seasick sea serpent. Definitely straight out of a Bob Clampett cartoo-oon. By the way, all my battery operated devices run on Kirkland batteries purchased at Costco. Back in the late 1950’s to the mid 1960’s, there was an outfielder named Willie Kirkland who managed to amass 83 outfield assists in 9 seasons, so I assume that runners were reluctant to run on him. Dave, you’re saying Alderson should’ve traded the stopgap guys the Mets had (who were worth a little but not a ton anyway) so they could sign new stopgap guys via free agency and then hope the fringe prospects they received when trading the original stopgap guys were ready to have an impact at the ML level? Um, ok. If you told me they should’ve dealt Reyes that makes sense because he would’ve brought great value. Saying anything that came in return for Niese and Gee would likely be great value is a BIG streeeeeeeeeetch. Jake – Didn’t say great value, but year or two ago, they were still guys that most teams would have seen as good 3rd/4th guys in a decent rotation, still in their 20’s, relatively healthy and cheap. Could have gotten something for them, not blue chippers, but better than fringe propsects. Instead potential trade partners now all know that the Mets are dying to get rid of both of them, not only because they have better and younger alternatives, but because their performance has diminished (to state the obvious). I admit, the hindsight doesn’t need the trifocals I’ve been wearing for years. But by stockpiling more starters than they need, the team has wound up with some dead wood. For what it’s worth, Sandy couldn’t even GIVE Bartolo Colon away for NOTHING last year. So that fact that he couldn’t trade Gee or Niese isn’t necessarily a reflection of him or his efforts. Also, if you go back to 2013, they signed Colon in the first place to eat up some of those innings…there was no good reason to trade TWO usable, salary-controlled guys in their 20s. To get something “decent” back, you had to let them increase their value, and the only way to do that was to let them pitch. They just ran out of time with Gee because Syndergaard and now Matz are forcing the issue. If you want to get better, this is a good problem for a team to have. Rob – Your last sentence definitely sums the whole thing up nicely, that’s where you can drop the mike and walk off the stage. But I think he couldn’t move Bartolo because he’s a middle aged guy who weighs 300 lbs and even now people can’t believe he can do what he keeps doing. Love the Barry Bonnell reference! Sandy really blew it by not trading both Gee and Niese last year when they each had value, and our youngsters were already breaking down the door. Have we already forgotten Gee’s franchise-record 5-inning streak that was fully in tact? Niese had a nose for wins back then, and Jason wasn’t really right about him until this year. Surely they could have gotten something decent for these legitimate starting pitchers. Now all they can get for them is crap like a Kirk Neuwenheis (sic) type… Huh??! They what?!! I don’t think we can kill Sandy for not dealing Niese and Gee earlier. A few reasons. Two. Young pitching is notoriously fickle – even highly-touted young pitching. See: Gen K, Jae Seo, Aaron Heilman, Mike Pelfrey, and even David West, who was eventually supposed to be Number Two in the rotation after Gooden. (Um, didn’t happen.) No one knew for sure if all, or even any, of the young guys would make the jump to the majors successfully. Niese and Gee had already proven themselves on that level. Three. Even now, you never know. Of the young pitchers, Wheeler is out for the year with TJ surgery, Harvey is recovering from same, Syndergaard hasn’t been here long enough to definitively prove anything, Montero has yet to establish himself as a major leaguer, Matz has yet to pitch a single inning in the bigs, and Mejia and Familia were originally seen as potential stud starters. The only young Met pitcher whose last 12 months were an unqualified success was Jacob deGrom, who was picked as a future Rookie of the Year by no one ever. Of course, I’m fairly sure that these young guys will dominate, and that the issues I mentioned are strictly temporary. Still, it goes to show that anything can happen, and that it’s always good to have young veteran ML pitchers around in case the train goes off the rails. In any case, I’m sad about what happened to Dillon Gee. He worked very hard to get the most out of his not overwhelming natural talent. I hope he hooks up somewhere and has more success in the majors. Colon’s success is easily explainable. He probably would be long gone by now if he hadn’t taken steroids, which is never ever mentioned. Short of buying Biogenesis records, he did everything A-Rod did. That stuff heals the body and apparently sets you up for years to come even after it is no longer in the system.